From faux meat ready-meals to the new pegan diet، here's the health foods and diets that are set to shake up your kitchen in 2019، sbs SBS TV reported. Move over kale: 2019 is all about celtuce - celery lettuce- also referred to as stem lettuce، Chinese lettuce، gingsun or wosun. The thick-stemmed vegetable is popular in both China and Taiwan. According to the Culinary Trends 2019 report from research group Sterling-Rice Group، exotic varieties of lettuce like celtuce will increasingly show up on restaurant menus across the world this year، alongside other international vegetables like cassava and Japanese yam. The Permaculture Research Institute states that celtuce is low in calories. It's also a great source of vitamin A and C، folate and minerals like manganese، calcium، copper، non-heme iron، magnesium، phosphorus، potassium، selenium، and zinc. It’s now celebrated as 2019’s best diet for healthy eating، best heart-healthy diet، best plant-based diet، best diet for diabetes and easiest diet to follow. Claiming a victory for a traditional، whole-food approach to eating، the Mediterranean diet was voted by the US News and World Report as the best overall diet for 2019. The best diet of the year also succeeded against 40 eating plans to take out other first place category spots in the report. 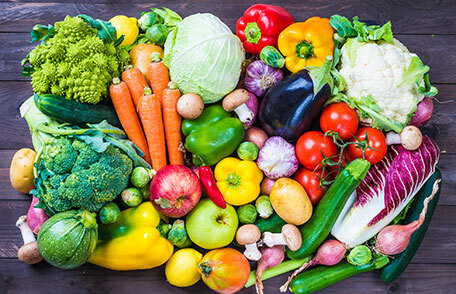 It’s now celebrated as 2019’s best diet for healthy eating، best heart-healthy diet، best plant-based diet، best diet for diabetes and easiest diet to follow. Although the Mediterranean diet remains unrivalled in popularity and health-based success، 2019 will see a growing acceptance of one major newcomer، the pegan diet. This eating plan is the fusion of two existing diet trends – paleo and vegan. The creator of the pagan diet، Dr Mark Hyman، advocates that this new style of eating helps to reduce inflammation in the body and balance blood sugar by focusing on the consumption of vegetables and fruit، with a small intake of meat، fish، nuts، legumes and seeds. Research is yet to support the benefits of the pegan diet. Food scientist at Flannerys Organic & Wholefoods Market، Joshua Gaudry predicts that market for nutritious plant-based food alternatives will grow، as vegan cheese، faux meat products and vegan seafood items gain favour in 2019. He adds the market for ready-to-eat plant-based meals is increasing، as busy people look for quick vegan meal options. That means vegans and flexitarians alike will get more choice in tasty faux meat ready-made meals، like vegan Massaman curries or ‘just add water’ vegan mac and cheese. “Ready-meals are a great way for people that are looking to reduce meat from their diet to try a few different alternatives،” he says. Only one word of warning: consuming highly processed meals، even if they are plant-based، are not recommended for good health. Fresh is always best but if you have to go a ready-meal option، check the nutrition label on the back of the pack to ensure you get a salt-reduced، low-fat and low-sugar variety. Gaudry foresees that in 2019 people will also increase their consumption of sustainable plant-based products from the sea، like kelp to reduce an overreliance on red meat and look after our oceans. He says Tasmanian kelp products such as kelp seasoning and kelp salt are already proving highly popular in-store. “This wild Tasmanian kelp has the highest alginic acid، natural growth stimulants، vitamins and minerals of any brown kelp in the world due to the cold west coast sea temperatures،” says Gaudry. 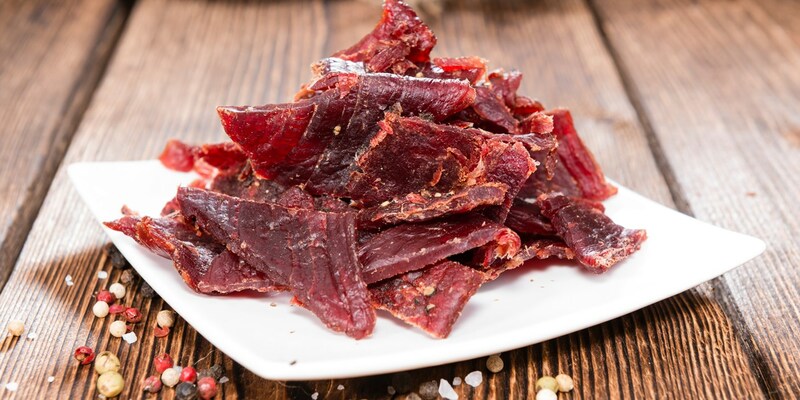 Kelp jerky protein snacks are another buzz product. “Kelp jerky is still relatively new and many producers are still in the kick-start funding process to get into the main stream with their products.” But، he adds، once companies set up، the trend for sustainably sourced kelp snacks will be one to watch. Medicinal mushrooms like shitake mushrooms (pictured) have been used as a dietary supplement or medicinal food in China for over 2،000 years. The concept of using varieties of medicinal mushrooms – like chaga، reishi، cordyceps and shitake mushrooms – to boost our health and regulate our immunity is not new. According to the International Society for Mushroom Science، medicinal mushrooms have been used as a dietary supplement or medicinal food in China for over 2،000 years. They’ve also been collected for the purpose of botanical medicine for many years in countries like Korea، Japan and eastern Russia. But، according to Gaudry، the use of medicinal mushrooms and their extractable ingredients are becoming increasingly on-trend in western cultures like Australia. He believes medicinal mushrooms will only heighten in popularity this year. So caution should be exercised if you want to jump aboard this trend، and use all mushrooms as they were originally intended by nature – as a food source.